"It was his voice. . . . . . How could a voice be so familiar, yet so forgotten?" Millie Cooper traveled all the way to Glenwood Springs, Colorado, away from her childhood home in Nantucket, after her future took a drastic turn for the worse over a broken engagement. 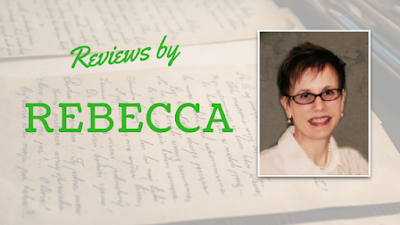 Now six years later, while serving the local community as an apprenticed nurse, she has come face to face with a desperate man; the older brother who, on that fateful night, informed Millie that she would never become Mrs. Stephen Drexel. John Drexler's first words upon seeing Millie Cooper again were far from eloquent. "Millie Cooper. You've grown." How could he possibly expect "the fisherman's daughter" to serve as his mother's private nurse and oversee the final months of his sister-in-law's pregnancy? "Even if I persuade her, our troubles will be far from over", he muses. However, as the ever faithful head of his family, he had done what had to be done, he had asked. Now it was up to Miss Cooper to decide if she could put the past behind her, while John has to decide just what he really thinks about Millie Cooper. This book far exceeded simple expectations, for the roads traveled by its characters are steep and treacherous; switchbacks appear without warning and storms unleash their fury with nary a breeze. But just as the warm healing waters of the Colorado springs bring relief to so many, this lovely, romantic story demonstrates how God beautifully "sanctifies our deepest distresses". Where the past and present collide and a woman is on the precipice of unexpected love. 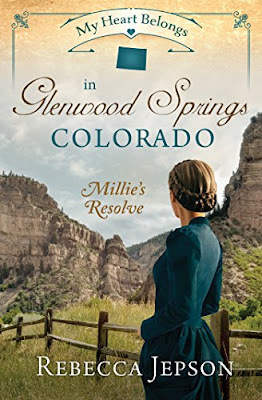 Millie Cooper, fisherman’s-daughter-turned-nurse, flees a painful entanglement with the wealthy Drexel family who summered near her childhood home in Nantucket, only to encounter them again six years later in Glenwood Springs. The serenity of her mountain hideaway in a town with healing springs is disrupted when she faces caring for the elderly mother and the expectant wife of Stephen Drexel, the man she’d once loved—at the request of his brother John, the man who’d kept them apart. Will Millie forgive the wrongs she feels were done to her, or will she come to see them as a blessing in disguise that leads her to greater joys? *I purchased this book and was under no obligation to review it. These are my honest opinions.